Christmas has come early for a number of lucky bidders following Bonhams London’s last Fine Jewellery sale of 2015. Jewellery from celebrated designers including Cartier and Van Cleef & Arpels, along with a pair of exceptional Kashmir sapphires belonging to a European Princess, went under the hammer today (Saturday 5th December). Bidders in the saleroom, online and on the telephones, competed for the two top lots, both of which exceeded their high estimates. The fancy greyish-blue, 2.97cts step-cut diamond, set in a ring designed by the society jeweller Andrew Grima, achieved £1,482,500 against its pre-sale estimate of £500,000-700,000. This set a new world record price per carat for a fancy greyish-blue diamond and a new world record for a Grima creation. 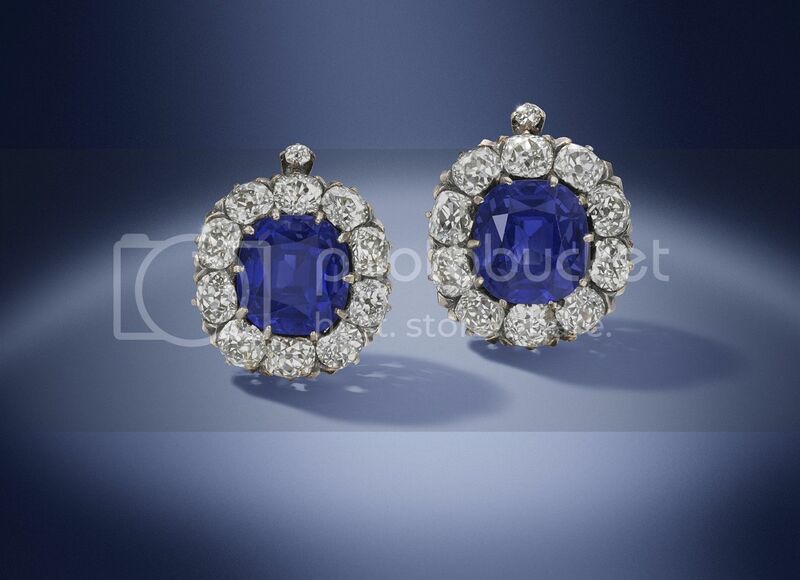 The other top lot – a pair of late 19th-century earrings set with two cushion-cut 7.92cts and 7.96cts Kashmir sapphires which were the property of a European Princess – achieved £1,538,500, against its pre-sale estimate of £500,000 to £800,000. Rubies from Burma and Madagascar (with no heat) also caught the eye of bidders in the December sale. 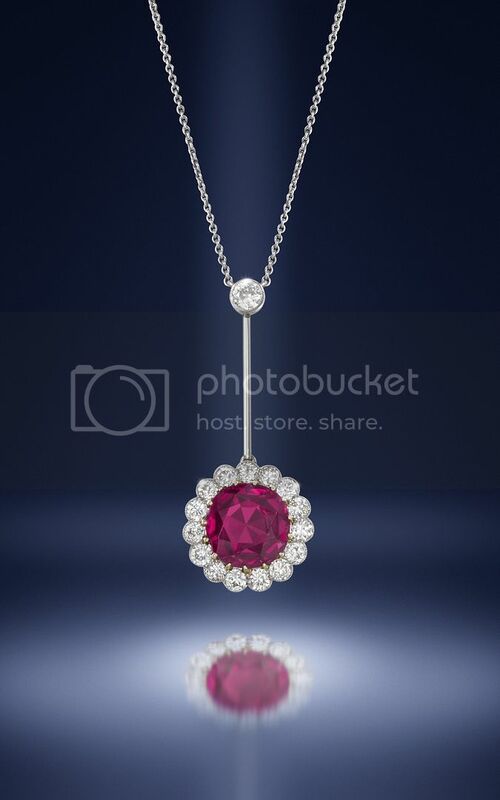 A Belle Époque ruby and diamond pendant circa 1915, set with an exceptional 3.83 cts Burmese ruby, sold for £128,500 to a telephone bidder, triple its high estimate of £40,000. 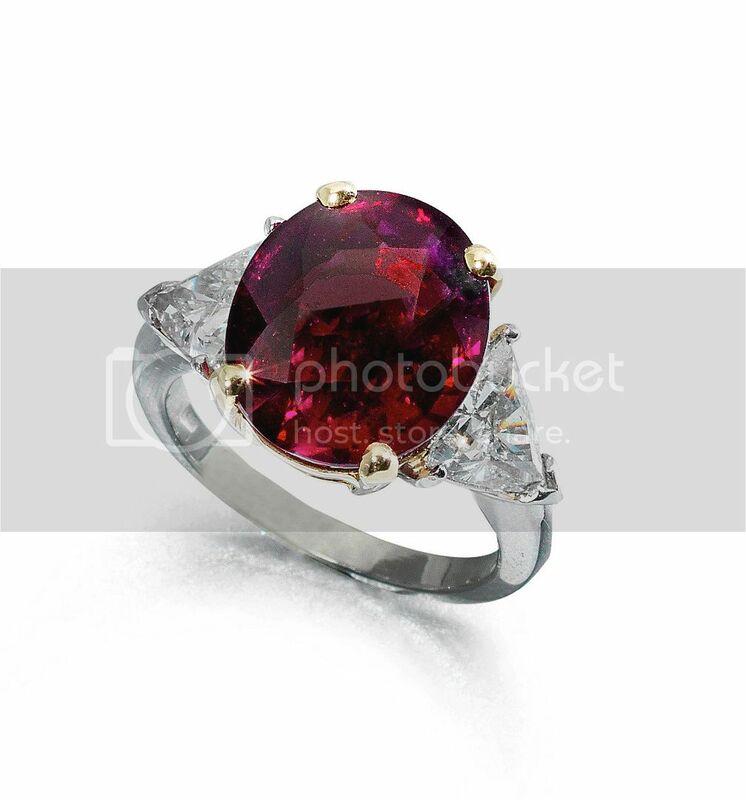 In addition, a 10.28 cts Madagascan ruby single-stone ring sold for £236,500, setting a new world record price per carat. With the continued appreciation and demand for natural pearls, regarded as the most elegant and classic lots, competition to secure a pair of bouton-shaped natural pearl earrings was fierce. Measuring approximately 14.63mm and 14.41mm, the pearls are beautifully matched in terms of colour, lustre and shape, and went under the hammer for £158,500, against a pre-sale low estimate of £100,000. Signed jewellery from Cartier was very much in demand during the three-hour sale. 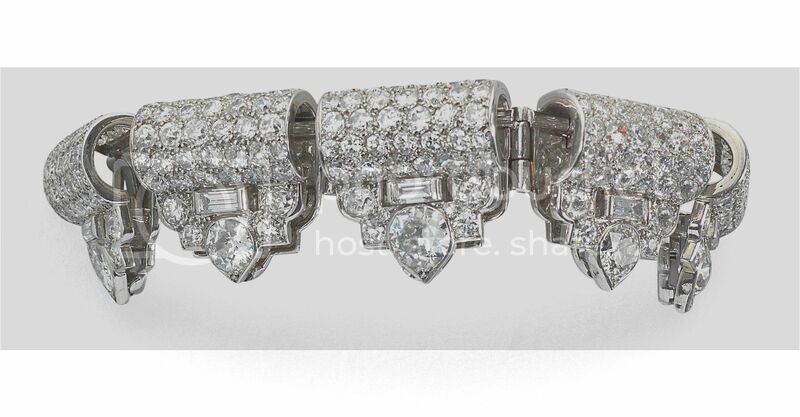 An innovative art deco diamond flexible bar brooch, circa 1934, which can be worn on a cuff, as a hairpiece, on the shoulder, on a collar or worn straight, sold for £84,100. This piece, a rare survivor from a limited period of pre-war production, was highly admired throughout pre-sale viewings in New York, Hong Kong and London. The sale achieved £6.79 million, with 88 per cent of lots sold by value. Daniel Struyf, Senior International Jewellery Director, said: “It was excellent to end the 2015 London Fine Jewellery Sales with three new world records. For full details of the lots sold in Bonhams December Fine Jewellery sale please click here: http://www.bonhams.com/auctions/22643/.